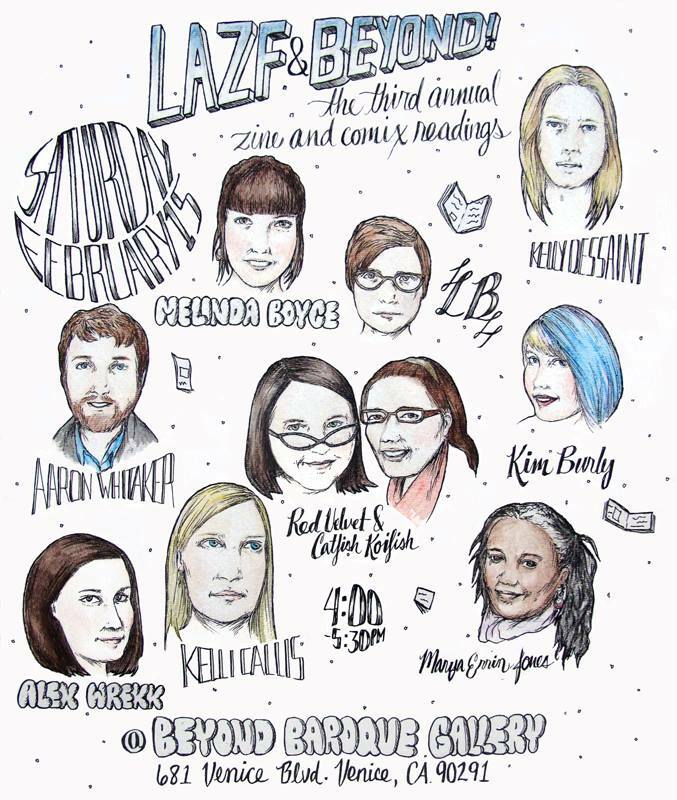 Melinda and I will be reading some comics at the LAZF Zine and Comic Reading the night before the LA Zine Fest. You should stop by if you’re in the Los Angeles/Venice area! Hey dudes! 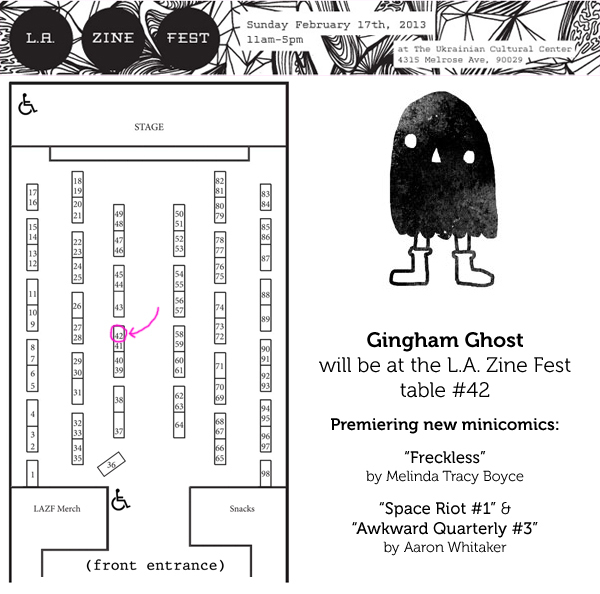 For the last three years (or something I don’t want to do the math) my girlfriend and fellow cartoonist, Melinda Tracy Boyce, and I have shared a joint tumblr called Gingham Ghost where we would post our comics and art side by side. The name Gingham Ghost had a lot of problems. First, it didn’t really say much about us. Second, our black ghost logo looked somewhat similar to the logo of another comics publisher. And last, for some reason most people don’t know what gingham is. So we have decided to change our joint tumblr name to Bangs and Beard. I really like how the logo turned out and I’m excited to start using this new name at expos and as our publishing company. Also our motto is “Victory or Death!”… Because, you know, comics till we die! 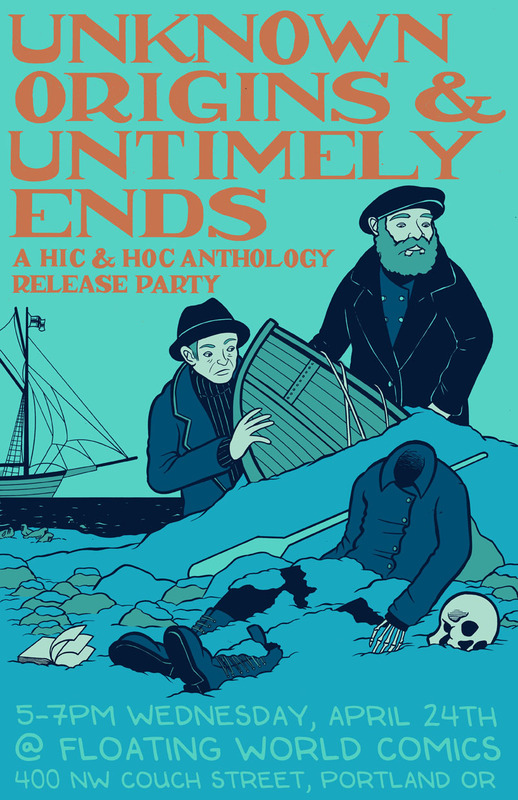 If you’re in Portland, OR you should totally go to this! 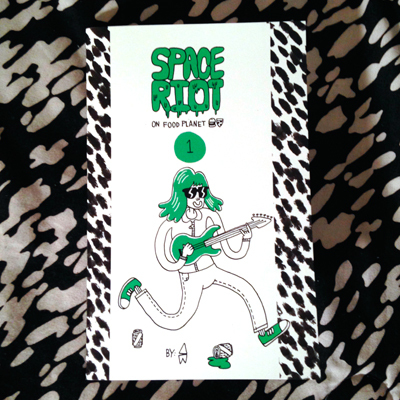 I have a comic in there as well as other rad cartoonists like Melinda Tracy Boyce, William Cardini, Sam Spina, Noah Van Sciver, and way more! 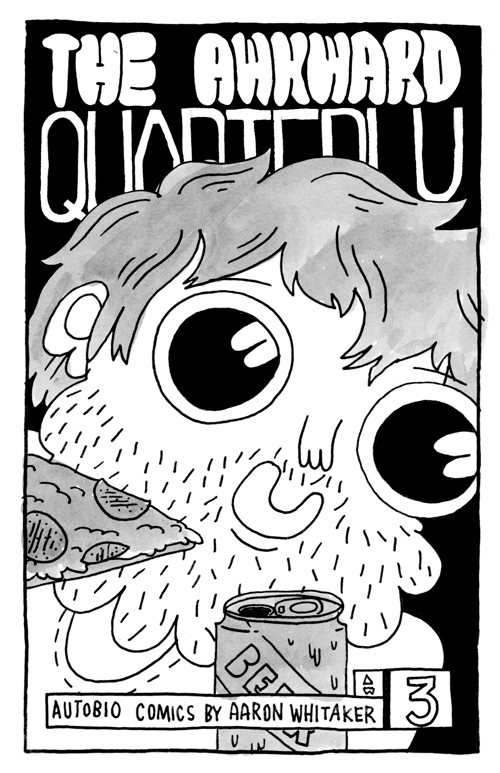 “The Awkward Quarterly #3” is premiering at L.A. Zine Fest this weekend. 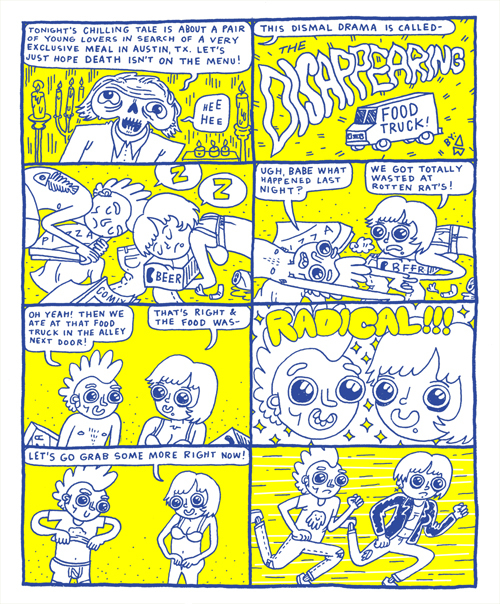 This is a preview page from a 4 page comic I did for “Ruff House”, an anthology of Risograph comics from Austin artists published by Raw Paw Press. 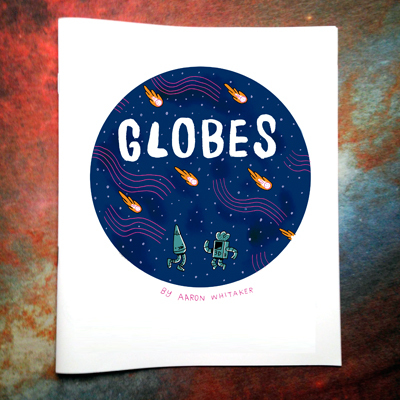 It will premiere at STAPLE (in Austin, TX) on March 2. More info to come. 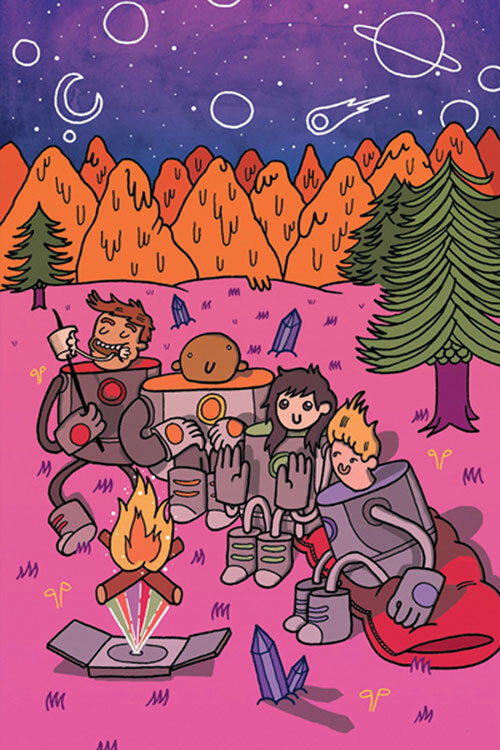 I am really excited to say I got the opportunity to make a cover for issue 6 of the “Bravest Warriors” comic based off of the new Pendleton Ward created show! There is a little article and preview of the other covers over at the Comic Alliance. Check out the issue in stores and on digital devices in March!!! I have some post-its in the Giant Robot 2 Post-it Show 8 opening tonight.